The Barbara Trenchard Foundation was started in 2004 to honor Barbara Trenchard who passed away that year from breast cancer. Barbara was always full of life, actively involved in community and church activities as well as being a loving wife, devoted mother and best friend of many. She had a goal of starting a scholarship fund. The foundation was named the Barbara Trenchard Foundation in her honor. To date, we have awarded 33 scholarships to outstanding students who have needed financial assistance to attend college. In 2016, the name was changed to The Trenchard Foundation to honor Barbara’s son, Trey Trenchard and his brother, Todd Trenchard. 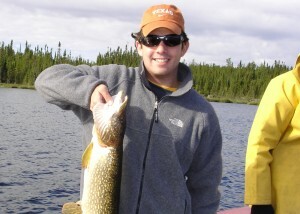 Todd Trenchard died in 2011 after a battle of many years with melanoma. Todd lived in the Rocky Mountains of Colorado. He skied competitively, including two years as a professional, then coached free style teams in Taos and Breckenridge . 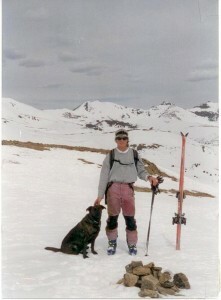 He was a long time member of ski patrol at Keystone and Arapahoe Basin. Todd won the Skier of the Year Award, voted on at the end of the season by ski patrol members, so many years in a row that the name was changed to the Todd Trenchard Skier of the Year Award. He never gave up and continued to work until the last year of his life, having lost 50 pounds before his last season. Trey Trenchard died in 2016. He earned a finance degree from the University of Texas and an MBA from New York University Stern School of Business. He was a cross country champion and basketball letterman in high school. He excelled at almost everything he attempted in his short life. Trey was passionate about music, politics, philosophy and life itself. He was a business strategy analyst for Huge, Inc. in Brooklyn who was admired by co-workers for his work ethic, intellect and support. He lived his life like his brother skied; never slowing down and without fear. Trey was a good, loyal friend to many, often gathering them together, the last time for his memorial where there was an overflow crowd. The Trenchard Foundation is a non-profit corporation with all work performed on a volunteer basis so that nearly 100% of donations go into the scholarship fund.